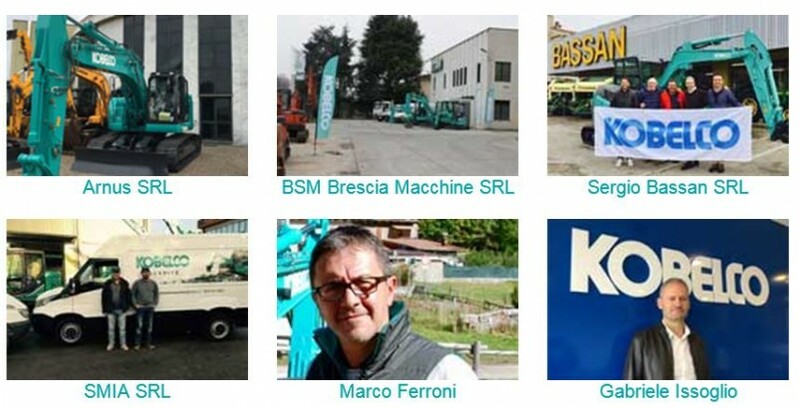 Kobelco Construction Machinery Europe B.V. (KCME) is pleased to announce the addition of four new Italian dealers to its expanding European network. 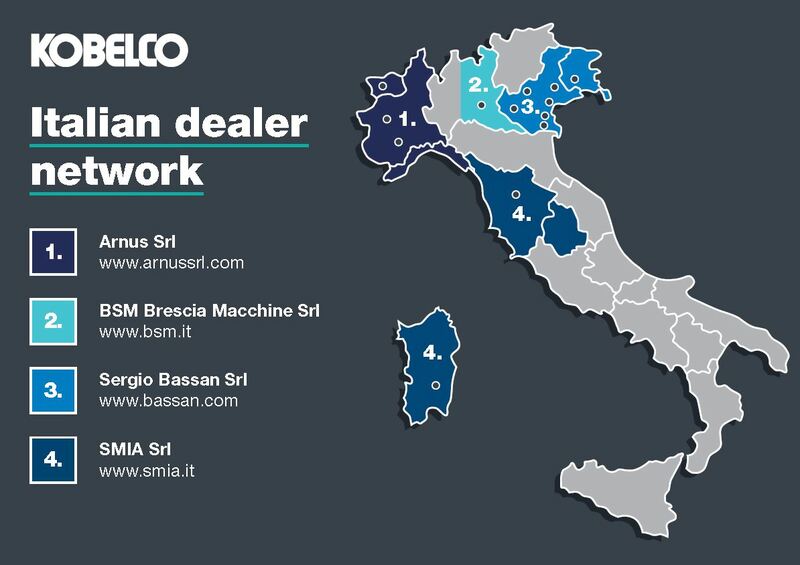 The appointment of Sergio Bassan SRL, BSM Brescia Macchine SRL, SMIA SRL and Arnus SRL is particularly significant for the Japanese manufacturer as it marks its entry into Italy for the first time on its own. The demand for mini excavators and heavy machinery in Italy has been increasing for the past three years and the demand for Kobelco excavators is also intensifying. Kobelco’s extensive range of high performance excavators covers both categories. With this in mind, the four new dealer appointments are important to KCME as they enable the company to enhance its service offering geographically, and further develop important customer bases in the region. Sergio Bassan SRL is a family-run company based in north-east Italy. Founded more than 60 years ago, the dealership specialises in agricultural equipment but hopes to expand into the construction industry with the addition of Kobelco machinery to its portfolio. Bassan is particularly well known in the region for providing excellent customer service and after sales support to its customers. BSM Brescia Macchine SRL was established in 1974 and covers the regions of Brescia, Bergamo, Mantova, Cremona, Sondrio and Lecco. The company specialises in the sale of earth moving equipment, but also has a large spare parts warehouse and substantial rental fleet. BSM will have a particular focus on Kobelco’s mini, midi and short radius machines as well as the heavy machine and mining segments. SMIA SRL is located in Cagliari, Sardegna, but also covers the Toscana and Umbria territories. Owner, Antonio Cavaliere, has extensive experience in the construction industry and has previously worked with a number of other premium manufacturers before taking the challenge with Kobelco. SMIA is renowned for its excellent after sales and customer service and its focus is on all categories of excavators from minis to heavy machines. Finally, Arnus SRL is located in Nichelino and will service customers in the north-west of the territory covering Piedmont, Valle D’Aosta and Liguria. The dealership offers a range of new and used equipment as well as rental machines and an extensive aftersales support service. “Kobelco’s extensive excavator line-up is ideal for this new market. Our mini, midi and short radius ranges, many of which include our innovative iNDr technology, are ideal for Italy’s urban landscape, while our larger, high performance machines are built to withstand some of the toughest environments while still saving fuel at the highest industry standard. We’re looking forward to learning more about our Italian customers’ requirements and are, of course, keen to continue expanding our network here.” The continued expansion of authorised Kobelco dealers underlines Kobelco Construction Machinery’s long-term commitment to Europe. A full and easy to view list of the complete European Kobelco dealer network is available via our Dealer Locator on this website.